Ashlen from West Virginia – I’m a team mom, and I want to know how am I supposed to know what is considered “good faith” reporting about child abuse per the SafeSport guidelines? Little League – The “Good Faith” policy was put into effect because under the law, fear of retribution should influence the decision of an adult or minor to step forward to report about a potential child abuse claim. The good faith or non-retaliation policy protects an individual from liabilities about a claim, even with the possibility that the claim is found unsubstantiated. However, if an individual knowingly falsely accuses someone of child abuse, there is no immunity from liability and could face removal from the league or criminal charges. Tim from Connecticut – Little League’s Child Protection Program seems very thorough, and I know it’s important, why do we need the additional requirements from SafeSport? 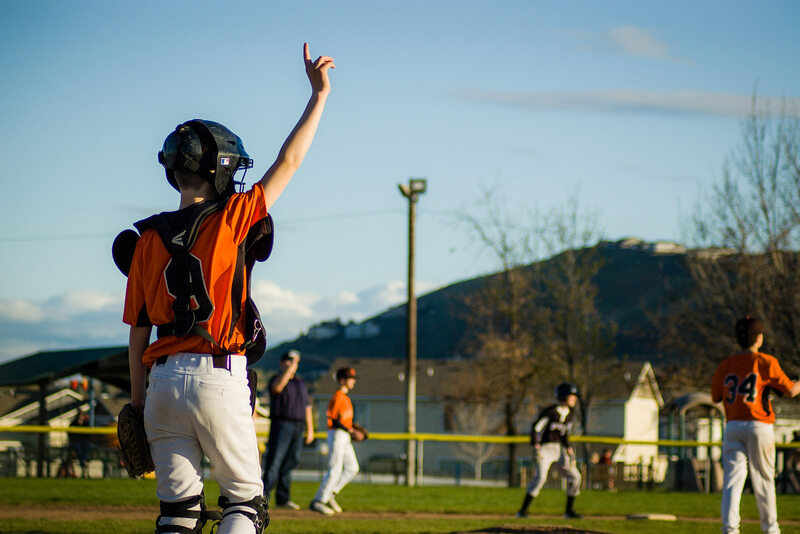 Little League – We completely understand your concerns, and we are working to continue to provide local leagues with the resources needed to make the adoption of the SafeSport law as easy as possible. This is a federal law that we must comply with, both at Little League International and for all youth sports organizations. As we continue to work with USA Baseball, and with the SafeSport Organization, we hope to make their great effort to protect our youth as easy to administer for all volunteers. If there’s anything that you think can make this easier for you and your league, please let us know, and we’ll try to provide as many resources as possible to make the mandatory adoption of SafeSport easier for our leagues. Corey from Tennessee – Why do the SafeSport guidelines only limit one-on-one contact with minors, not eliminate it? Little League – There is no way to eliminate one-on-one contact with minors. However, there are set guidelines that only approved and appointed volunteers, who have completed the required background checks, should supervise players. Little League International directs leagues to utilize the “buddy system,” and promote the practice of having more than one volunteer accompany a minor(s). If there is a one-on-one situation needed between an adult volunteer and a minor, it must be in an open, public environment. More information can be found in the Abuse Awareness training, or in the Little League Child Protection program. Blake from Colorado – Does a league need to complete the Abuse Awareness training to have its ASAP plan approved? Little League – Volunteers completing the training is strongly encourage and the Abuse Awareness training must be made available to your volunteers per the SafeSport guidelines, but is not necessary for the approval of the ASAP plan. Barb from Wisconsin – Does the SafeSport certification replace the need to do background checks? Little League – No. The Abuse Awareness training does not replace the need for a background check because certification is a training program, not a background investigation for a volunteer. Even though the two are similar in the Little League Child Protection program, background checks are still mandatory for each volunteer and/or hired workers that have repetitive access to minors, as is complying with state laws and completing a Little League Volunteer Application. Don from Kentucky – What happens if you hear about something covered in the SafeSport law, but don’t witness the act. Must I still report it within 24 hours? Little League – The SafeSport law states that it is now a crime to allow any reason to suspect an act of child abuse, including sexual abuse, to go unreported within 24 hours to the proper authorities. Even if you have not witnessed the action, if you have any reason to suspect that a minor is being abused, then you are mandated to report this to the proper authorities in your state. See the Child Abuse Laws page on Little League.org for more information. Little League – Each state has its own specific guidelines on reporting child abuse. Reporting could be to law enforcement, child welfare agency, child protection services, or similar agencies. To find out more about your state’s guidelines please visit the LittleLeague.org Child Abuse laws page on LittleLeague.org. If you have questions that can be answered in a future edition of Your Voice, please email: parents@LittleLeague.org.